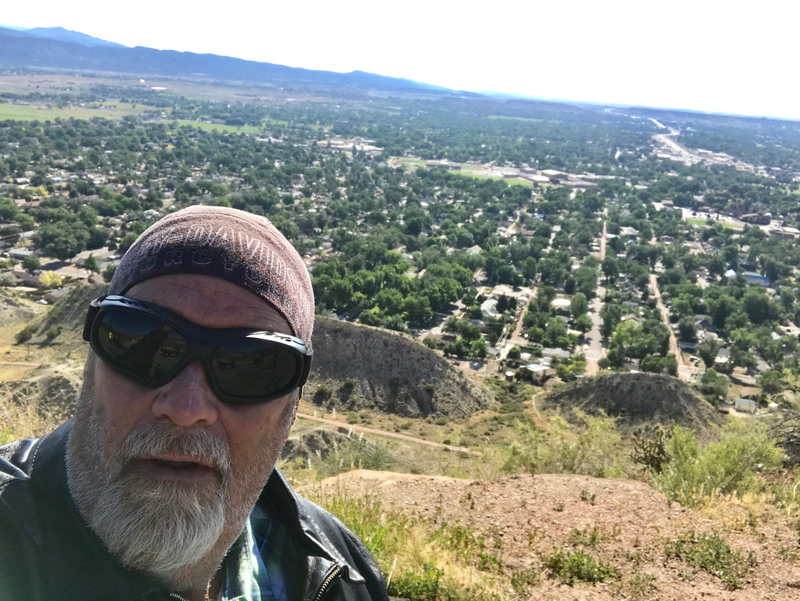 Canon City, CO — During my first trip to Colorado, one of the things that I had to see, was Skyline Drive in Canon City Colorado. After riding up and over the Rocky Mountains, and Mount Evans, I didn’t expect this to be much of a trip. We left Colorado Springs and headed down highway 115. It was early in the morning, so there was little traffic, but we could tell it was going to be a hot day. The ride to Canon City was different from the others we had taken earlier in the week. The scenery was more “brown and tan” as opposed to the beautiful green colors of the mountains. Skyline Drive is a scenic roadway built by inmate labor in 1908. There are two prisons that surround Canon City. Highway 50 takes you to your destination. The route is dotted with souvenir stands, points of interest and once you’re in the city, plenty of shops, gas stations, restaurants and more. When we arrived at the entrance to Skyline Drive, it was a fairly unassuming looking trail. That changes once you enter the ridge. The road is a one way road that snakes up to the top of the ridge. When the road crests, it winds, climbs and falls like a roller coaster until near the end where you land at the most amazing scenic outlook that stares down on the city. Skyline Drive is built on a ridge, or hogback, and when you come down off of the trail, you enter a residential neighborhood. Certainly, it takes all of your attention to ride the ridge, but the road is fairly good, and you don’t encounter any oncoming traffic, since it’s a one way trail. Once we were at the top, the views were breathtaking. Gazing at our surroundings, you could see the large letter “C” on the ridge face, for Canon City. It’s not a terribly long ride, but it will pump up your adrenaline and call on all of your riding skills to navigate. It’s a must see for any biker who makes the trek to Colorado. There are more scenic areas to visit, but a ride up and over Skyline Drive is worth the time to get there.